What food do you miss from your younger years? With the move towards healthier food nowadays, is there something you miss from yesteryear? Re: What food do you miss from your younger years? 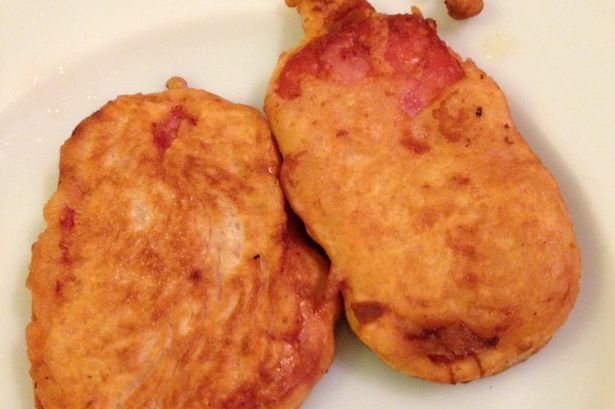 Spam Fritters and Corned Beef Fritters, like my mother used to make! It's a bit embarrassing to admit it now, but it is true. They were the bees' knees. OK, so it was post-war rationing days when I was a kid - and cordon bleu cuts of best fillet of beef and jus weren't exactly falling out of the skies. I've tried since to rustle them up myself. Result? Mine are nothing like the juicy, crispy fritters my brother and I used to wolf down without breathing. Try as I have, I just can't work out how my mother did it - my Spam Fritters tasted absolutely diabolical and were only good for firing at the Luftwaffe.